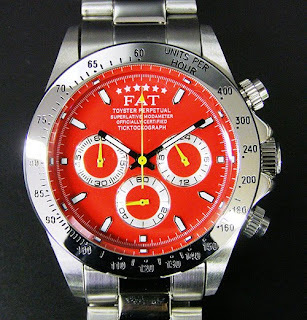 This is another Japan only brand of watches. 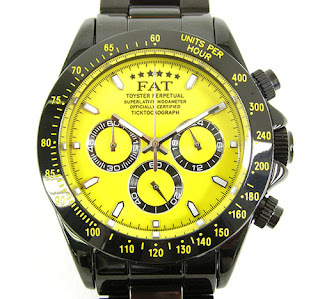 The watches are made by a company called FATYO. This company has been making watches for 7 years. Their initial offerings were based on the popular Casio G-Shock. They have since moved on. 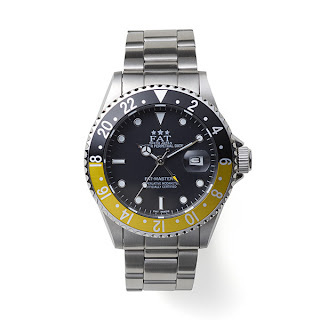 They are now following the trend set by BAPEX and are now offering watches based on the popular Rolex design. 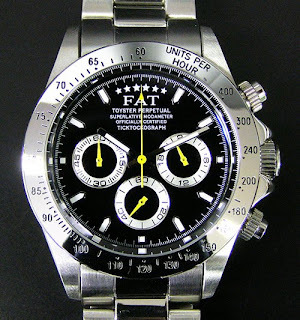 Their current offering are the FATEXPLORER III (seems they are ahead of Rolex who is still at Explorer II) and FAT-MASTER III (again they are ahead). 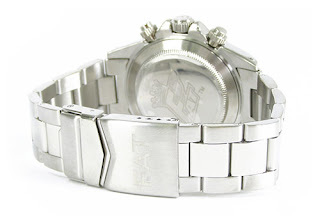 There is not much information of the specifications of the watches but the case is stainless steel. The interesting aspect of their watches is how they adapt the legends on the dial from the Rolex legend. For example, instead of having the Rolex legend 'OYSTER', they will have the legend "TOYSTER' and instead of 'CHRONOGRAPH', they will have 'TICKTOCKOGRAPH'. FATYO have also collaborated with Zozotown Dedue Store to issue their 6th. Anniversary watch. 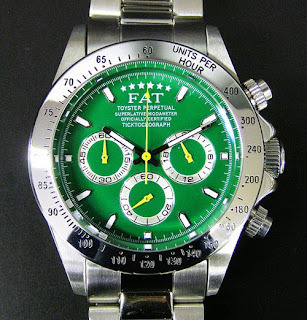 This watch is based on the Rolex Daytona. The watches are available in 5 dial colours: black, green, blue, red and yellow. The design is true to the Daytona but I am not sure if the chronograph pushers are of the screw-down design.